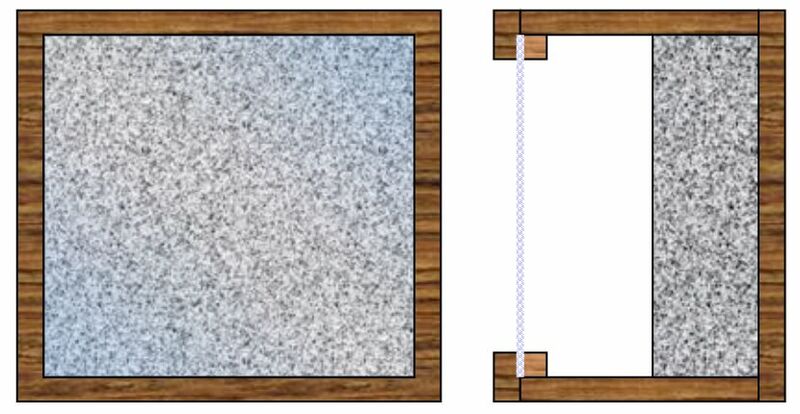 In modern studio design, absorbers are used to suppress unwanted frequencies and room modes. With the concepts below, certain frequency regions can be focused to treat problems individually. 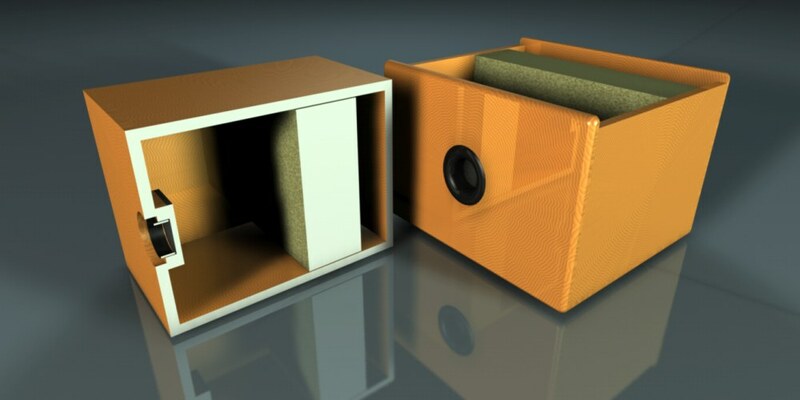 The design operates with the resonances of the air inside an airtight box. The idea was already published 150 years ago by the german physician Hermann von Helmholtz. Unlike Helmholtz who used solid cavities, we are making use of wooden boxes to apply damping and energy losses to obtain a controlled resonance behavior. 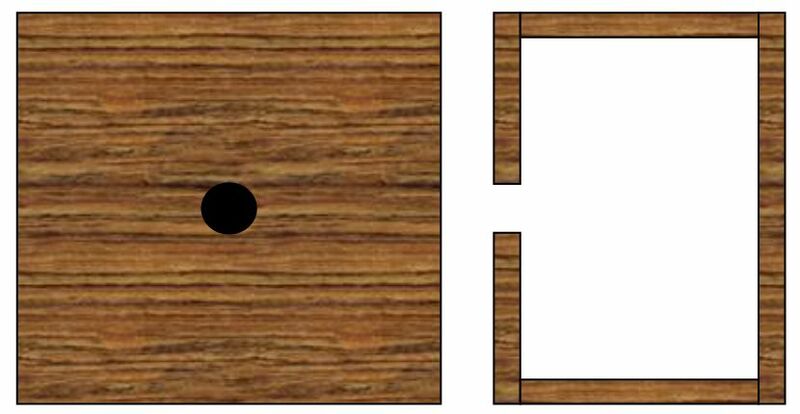 A classical Helmholtz-resonator used as an acoustic energy absorber. It has no damping material inside at all and only makes use of the flow resistance of the moving air in the small hole at it's front side. HHR's are very effective, but not easy to build, because they have a small bandwidth as well as a very steep absorption curve and will therefore have to be tuned very carefully. Also should be noticed, that the HHR acts with a kind of counter noise, which means there is also noise emission, especially after the release of the sound. This might create unwanted side effects. A new concept based on a modified Helmholtz-Resonator is presented here. It has some damping material inside and works with the resistance of the air in both the hole of the enclosure and the damping material. The absorption curve is flattened in comparison to the HHRs leading to a higher bandwidth. Also the negative sound during the release phase is significantly lowered. This type of diffusor is easier to build although less effective. Therefore more diffusor elements might be necessary. Anyway more than one element working at slightly different frequencies are useful. Another concept uses a wide open window and a light membrane covering the opening of the case which encloses a defined amount of air. It works with the flow resistance of the damping material only. The absorption curve has a medium steepness and might be flattened with more damping material. Heavy membranes lead to very low frequencies, so this concept seems appropriate for bass absorption. A design with dedicated absorption material and front diaphragm at the front plate. 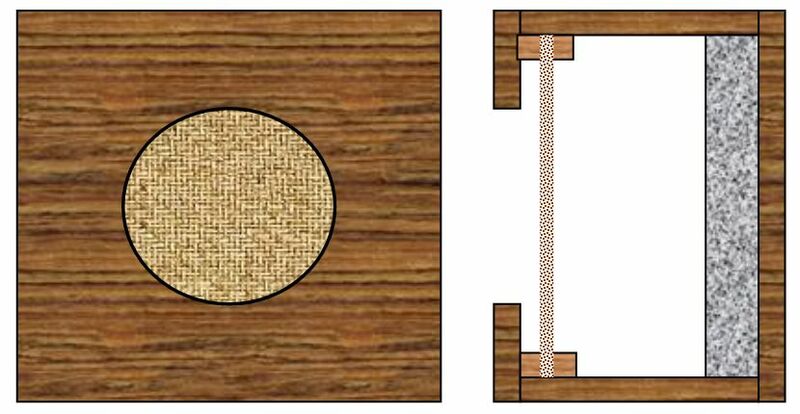 Optimized sound absorbers can be created by resonating modules to obtain an appropriate sound absorption in studios.